Alison Hawthorne Deming conducted this reading at the Education Lecture Hall EDC Room 117, ASU Tempe Campus. 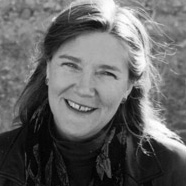 Alison Hawthorne Deming is author of four poetry books, most recently Rope (Penguin Poets, 2009). This was preceded by Science and Other Poems, which won the Walt Whitman Award. She has published three nonfiction books, Temporary Homelands, The Edges of the Civilized World, and Writing the Sacred Into the Real. Her work has been widely published and anthologized, including in The Norton Book of Nature Writing and Best American Science and Nature Writing. Among her awards are two NEA Fellowships, a Wallace Stegner Fellowship, Fine Arts Work Center Fellowship, Bayer Award in Science Writing from Creative Nonfiction, Pablo Neruda Prize from Nimrod, and the Best Essay Gold GAMMA Award from the Magazine Association of the Southeast. She is a Professor in Creative Writing at the University of Arizona.